LIMITED STOCK! GET IN QUICK! POWERPAD Series Drum Bags are heavy-duty bags built for transporting your kit safely and securely. These bags are made with a special semi-hard cushion consisting of four separate layers, each made from unique materials, to protect your valued equipment from damage. The inner surface features a soft flannel material that prevents scratching, while the outer surface utilizes high density nylon with a water-repellant finish. 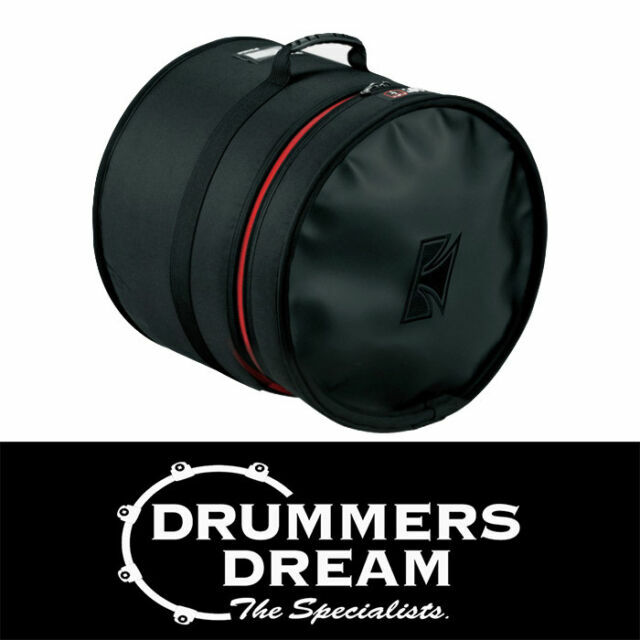 The bass drum bags features handles on the top and bottom, as well as the side of the bag, for more convenient carrying. ABOUT TAMA From the very beginning, TAMA made its mark as an innovator-and never an imitator. Two of the most important reasons for the success so of many groundbreaking TAMA designs: (1) fear of failure never .